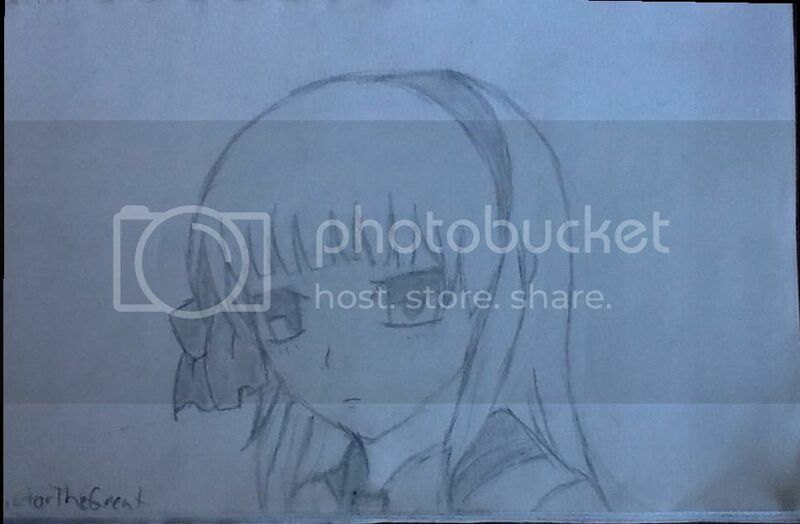 This is a drawing I drew from a step by step of Yuri Nakamura from Angel Beats (Hint: if you don't know, AB is one of my FAVORITE Anime's). Please tell me what you think suggestion and critique is welcome. This is a drawing of Lust. who is one of my all time favorite characters, from Fullmetal Alchemist. Please, critique and suggestion is welcome! 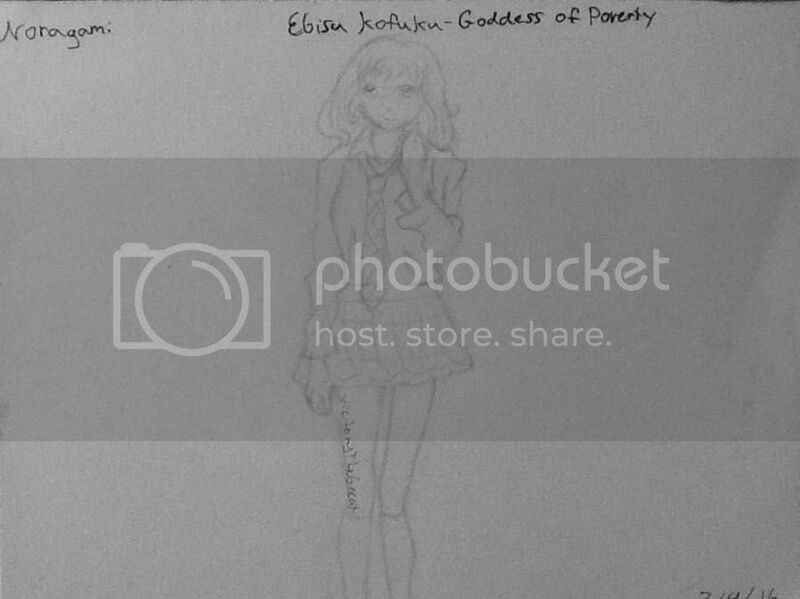 A simple drawing of Ebisu Kofuku-Goddess of Poverty from Noragami. Please tell me what you think; critique and suggestion is highly welcome! Guh, Lust was just so problematic in that anime. Angel Beats I never speak of for... Reasons. Was a masterpiece for sure though. 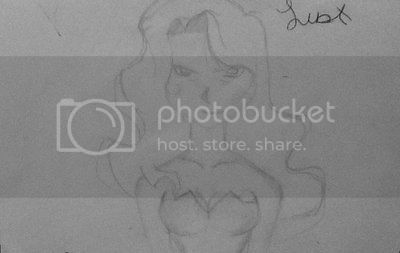 I think it's nice that you're being careful with the lines, but for fanart there should be some form of theme or tiny story in the picture for it to be appealing. Are they fighting? Are they smiling at the viewer? Are they eating something? Happy or sad? If you draw fanart with such things then they can engage people more. Fun mashups are always great too. I saw an awesome Bleach Shingeki no Kyoujin picture once and that was amazing.